You VEP Me? I VEP You! Two young boys were playing nicely. Sinbad and Malvyn were, in fact, brothers. In the midst of their brotherly play and without realising it, Sinbad’s left shoulder accidentally brushed against Malvyn’s right cheek.. The cheek, comprising mainly of soft tissue, hurt badly for Malvyn. Out of youthful spite, Malvyn raised his right hand and smacked on Sinbad’s left arm. Sinbad was caught surprised. He didn’t understand why Malvyn would deliberately hurt him. 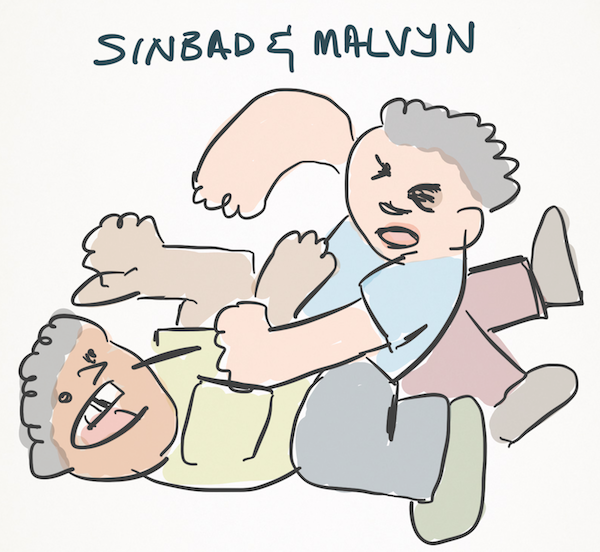 So, after a couple of seconds, Sinbad regained his composure and hit Malvyn on his right arm as revenge. By this time, Malvyn felt really wronged. “Why was Sinbad hitting me again?”, Malvyn thought to himself. The sense of injustice was building up within Malvyn, and he retaliated with an even stronger blow to Sinbad’s right arm. Before long, a fight escalated, and Mum had to step in to intervene. Does the scenario above sound familiar? Yes, that’s exactly what is happening between Singapore and Malaysia regarding the toll and vehicle entry permit charges that both sides have been increasing in retaliatory responses. Author sgBikerBoyPosted on 5 November, 2016 5 November, 2016 Categories Random RantTags Causeway, Malaysia, Second Link, Singapore, toll, toll fees, VEPLeave a comment on You VEP Me? I VEP You! 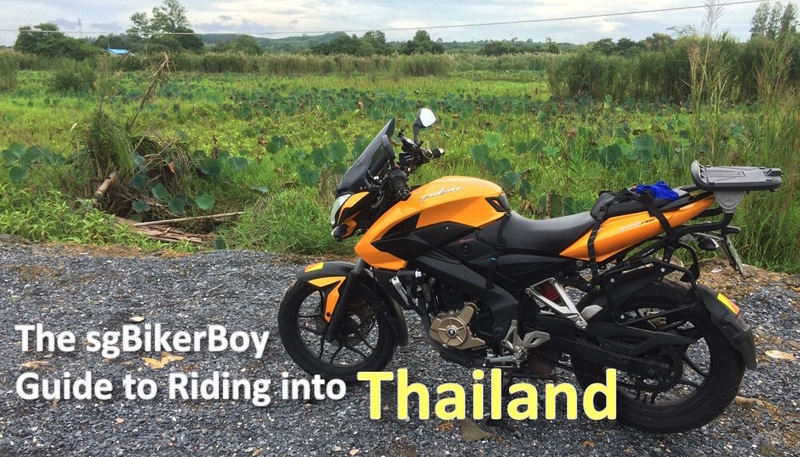 After recently completing a Singapore-Malaysia-Thailand-Laos-Cambodia tour on my motorcycle, here’s a guide for those who are thinking of heading into Thailand on your motorcycle. Yes! I’m on the road again! And yes! It’s with the Pulsar 200NS! I had some business to perform in Kuala Lumpur and since I’d be travelling alone, I decided to take the bike instead of the car. 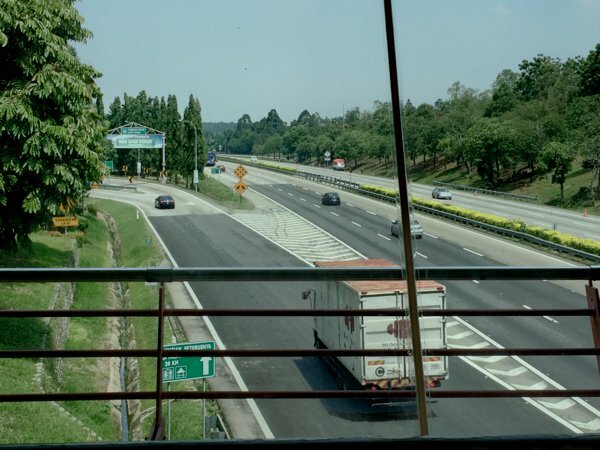 And after the eventful low battery situation, getting stranded by stalling my engine and the good samaritan who saved my day, I’m on the Malaysian North-South Highway (NSHW), again. And I’m glad I did. Because, at approximately 230km from KL, there was a really bad accident. A container truck from the opposite direction had lodged itself onto the middle divider and turned on its side. The cabin looked quite smashed up. And traffic from the opposite direction were directed onto this side of the road – I suspect to facilitate emergency vehicles to access the accident site quicker. But all these mean one thing – massive jam. I suspect that it’ll take at least an hour or two to clear the jam. And thankfully, the bike was nimble enough to squeeze through the traffic, and I still managed to travel at somewhat freeway speeds on the shoulder. Lunch at A&W, Ayer Keroh. Happy Birthday Singapore! It’s been 51 great years, and I wish every Singaporean a fantastic and happy National Day! After travelling for the last 2 months or so, it feels so good to be home. Fantastically smooth road surfaces, orderly traffic, and amazingly clean surroundings. It means so much to me to be back in time for your birthday. Singapore. Home. This is where I belong. Author sgBikerBoyPosted on 9 August, 2016 10 August, 2016 Categories Random RantTags SingaporeLeave a comment on Happy 51st Birthday Singapore! It was a relaxing Sunday morning ride. At the last Pulsarians makan session, I was chatting with Angad and told him that I would love riding up north but as I’m still considered a “new” rider, would prefer nothing too challenging. So he recommended a quick trip to Renggam via Layang-Layang. According to Waze, it’s only an approximately 1.5hr ride each way. So that’s it! It was planned for the Sunday morning – returning to Singapore just as about the time the Missus and little one get out of bed.